On 29 September 1939, just 26 days after Britain declared war on Nazi Germany, 65,000 enumerators descended on every household in England and Wales to document the lives of over 41 million people in the 1939 Register. This "Wartime Doomsday book" is the only surviving record of the civilian population of England and Wales between 1921 and 1951. As the 1931 Census was accidentally destroyed by fire during the Second World War and no 1941 census was taken, the 1939 Register creates an essential bridge across a 30-year gap in history, and provides an incredibly rare snapshot of a vanishing Britain. The sheer scope and scale of what was recorded by the Register makes it a valuable resource for social historians looking to gain a better understanding of the makeup of interwar Britain. The Register differs to censuses in the level of detail collected. Occupations were recorded in great detail so that the Government would be able to identify trades and skills that would be useful in the war effort. Precise dates of birth are also given in full, whereas census returns only give the person's age. Using the Register to examine various regions of the country can make for some very interesting comparisons. In order to do this, you can either search for a specific town or address, or you can try searching by registration district. First off, you will need to access the advanced search screen by clicking on the button in the top right hand corner of the simple search box. From here you can search for a household or institution using our dedicated address search. To access this page, select "Address" using the Person/Address tabs found at the top of the advanced search page. An address search allows you to discover who was living at your house in 1939. Such a search is particularly useful for those interested in the history of a specific street or area, as searching by street/road name will bring pull out results for every household registered to that address. Examining the records of the various inhabitants and their occupations will give you a good idea of the make of local population. For example, you can find out whether the area was primarily working class, or home to large numbers of retirees or agricultural laborers, and so forth. While exploring the 1939 Register, be sure to examine the wide array of supporting content included on each transcript page. 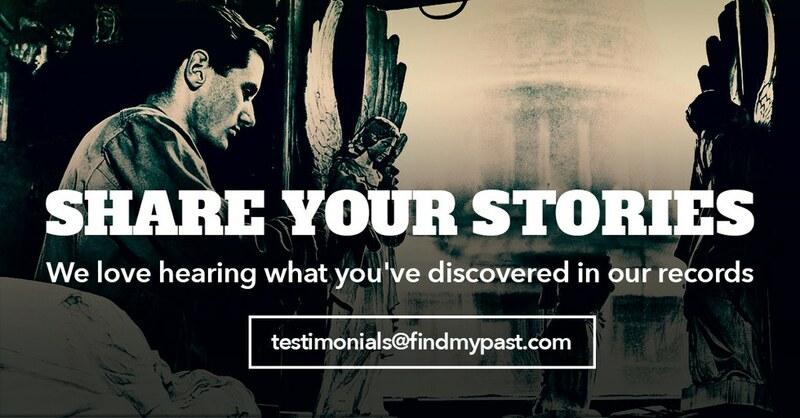 Each contains a wealth of contextual information, including period photographs, infographics, region-specific newspaper articles and historical and contemporary maps, all personally tailored to each record. The infographics display statistics based around the common surnames, population sizes, household sizes, gender ratios, age ranges and common occupations within that particular district or borough. They also show the corresponding figures for England and Wales as whole, and comparing the two is a great way of finding out how your local area measured up against the rest of the country. The Register covered over 1400 enumeration districts that were split into four categories: Rural Districts, Urban Districts, Municipal Boroughs and County Boroughs. Rural and Urban districts tended cover smaller local areas while County and Municipal boroughs covered entire counties and local government districts. 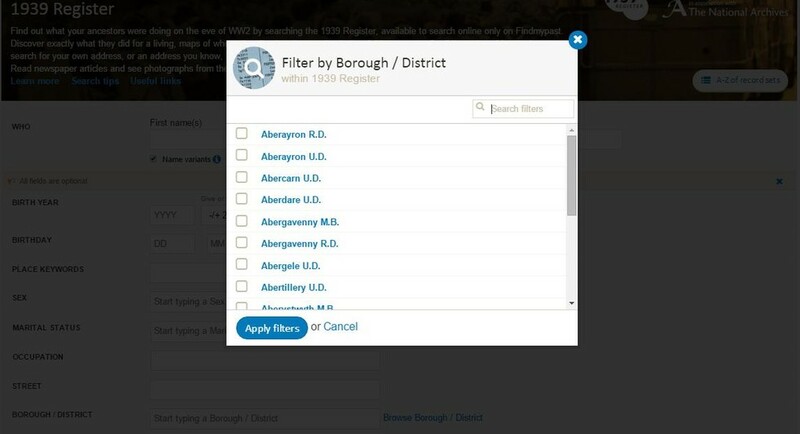 Once you have selected the district or county you are interested in and added it as a filter, perform a blank search and view one of the results. After opening the transcript, scroll down the page and below the transcript box itself, you will find the first piece of regional information in the form an ONS map of the area. You can then use the drop down menu in the top left hand corner of the map to switch between maps of the same area from 1889-1913, 1937-1961 and the present day. Click and drag your cursor to navigate the map and use the small +/- button to the left of the drop down menu to zoom in and out. Comparing the three maps allows you to see how the area has changed physically over the past 127 years. The third and fourth infographics make for perhaps the most interesting comparisons. Infographic three reveals the male/female population split as well as the number of individuals in each ten year age bracket from 0-9 to 80+. You may notice that areas with high levels of heavy industry tended to have larger male populations as well as higher numbers of inhabitants between the ages of 20 to 40. The third infographic is also a great way to see how evacuation changed the make up of Britain's cities and industrial regions, as just 2% of the population in London was aged 0-10 compared with the national average of 14%, while 8% was aged 10-19, against 16% nationally. Infographic four lists the top ten occupations for men and women in that region. Comparing this against the national average or against other districts will reveal the nature of the local economy. For example, comparing the results for the rural district of St Austell in Cornwall against those for England and Wales as a whole shows how the china clay industry was one of the main sources of employment for men in region, as three of the top ten most common occupations were related to clay production. What Have You Found in the 1939 Register?